If you’re a homeowner or business owner, then surely you appreciate your heating system during the cold parts of the year, and your central AC unit during our hot northern Lancaster County summers. 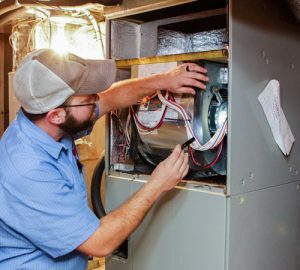 In order to keep your heating, ventilation, and cooling (HVAC) system running effectively, it’s important to have the systems regularly checked and have routine maintenance performed on them. This helps to prolong the life of the system, meaning you won’t have to install another one as soon as what you otherwise would. Another way to avoid costly repairs is to report any problems to your HVAC repair technician the moment you know something is wrong. An unaddressed issue can just cause more damage to the system down the road, causing more expensive repairs to be needed. Most likely you can schedule a same-day or next-day appointment to identify and fix any problem with your home’s system. In order to maintain a comfortable temperature in your home and ensure that your system operates at its best, it’s typically best to leave it to the experts and not to do it yourself. Put another way, heating and cooling systems are intricate and expensive. They know their stuff. A professional, certified HVAC technician has been through a lot of training, passed exams, and is continuously learning about new ways to keep your system functioning properly. When there is a problem and repairs or installations need to be made, they are able to successfully repair (or install) them without creating additional problems. Having your system inspected on a regular basis can prevent future problems and allows the technician to make suggestions on how you can avoid those potential problems from happening. If any actions should be taken immediately, they can address the issue. If something should be done in the near future, they can schedule a reminder so that you don’t have to keep track of the issue. This keeps your system in good condition and your family (or co-workers) comfortable. A professional heating and air conditioning repair and installation company that hires technicians will definitely want those that hold the necessary knowledge, training, and experience. As a part of continuing to be a reputable company, they might even offer their own training programs. When you use a technician to fix your AC unit or install a heating system, you can assume that they have dealt with the same (or similar) situations. Because of their experience, they are able to finish tasks as quickly as possible, meaning less hassle for you. Trying to handle your HVAC problems without the necessary training may leave your system in worse condition. Why not enjoy the perks of having a professional HVAC technician who will save you time and money in the process? Effectively handling your HVAC system may require coming into contact with the flame sensors and motor (among many other parts), which can be unsafe if handled improperly. Additionally, cooling systems rely on refrigerants that require special care. However, a certified HVAC professional has the training and experience to effectively handle these parts without putting you, your family, or your home’s safety at risk. There is no need to put yourself in an unsafe predicament to avoid spending money, because by trying to perform it yourself, you are risking a lot more than money. Hire a professional HVAC company (even if it’s not Cocalico Plumbing & Heating) to look at your system for you. By doing this, you can be certain that the life of your system will be extended many more years. If you live in northern Lancaster County, or southern Berks or Lebanon counties, and are looking for a locally/family-owned HVAC repair service, we’d be happy to give you a free estimate. We offer 24/7 air conditioning and heating repair services from experienced technicians – because problems don’t always happen during regular business hours. And if you need a new system, we can help you choose the right one for your situation and then install it for you. For service anytime day or night, give us a call at 717-738-0760. If it’s not an urgent issue, you can also send us an email.